Several years ago I began collecting pictures for what I call my Hall of Heroes, people through history whose lives and work have inspired me. The idea was to one day put all these pictures into one great big collage. When I started there were some obvious choices: Martin Luther King, Dietrich Bonhoeffer, Mohandas Gandhi, Dorothy Day, Malcolm X and Clarence Jordan. In subsequent years I have added many others: Frederick Douglass, Myles Horton, Paulo Freire, Fannie Lou Hamer, Nelson Mandela, Steve Biko and Sojourner Truth. As I wrap up my nine-day bus tour of Civil Rights sites, I decided to add one more to the list: John Lewis. Born in rural Alabama, Lewis entered the Civil Rights scene in 1960 as a student at American Baptist Seminary in Nashville when he participated in the lunch counter sit-ins. The next year in 1961 he volunteered as one of the original 13 “Freedom Rider” who rode commercial buses thru the South and challenged the segregated facilities in Southern bus stations; he got beaten on the head by an angry mob and some jail time for that. He was one of the founding members of the Student Nonviolent Coordinating Committee (SNCC) and was the organizer for SNCC in Nashville until 1963 when he became the director. 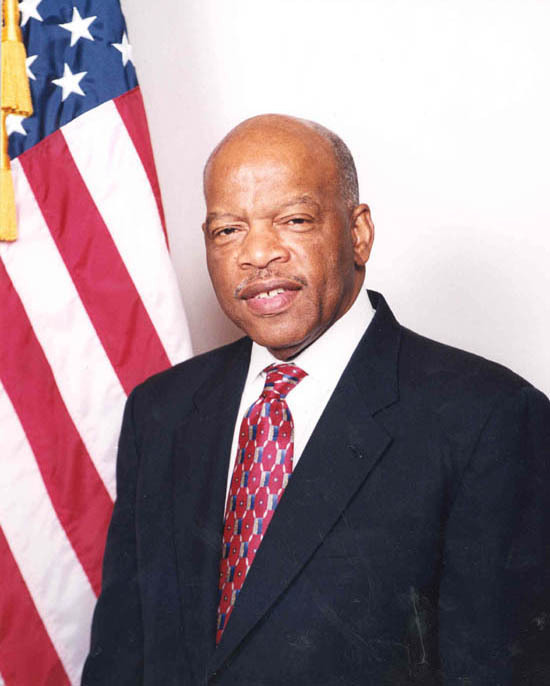 In that role he spoke on behalf of SNCC at the 1963 March on Washington, causing quite a controversy for wanting to publicly criticize the Kennedy administration’s proposed Civil Rights Bill as inadequate. 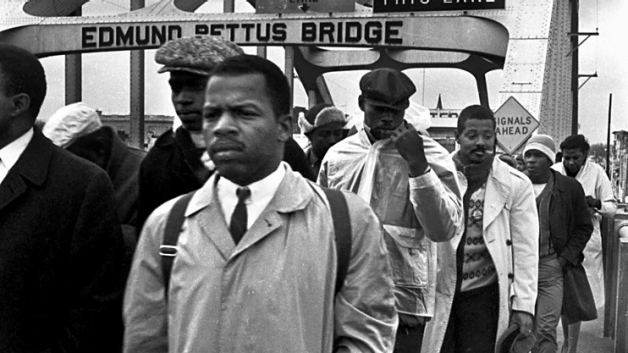 Two years later in Selma, AL even though SNCC was not supportive of the march from Selma to Montgomery, Lewis decided to march anyway, leading the procession with Rev. 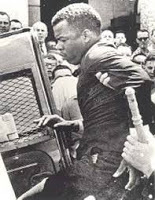 Hosea Williams on “Bloody Sunday” when Alabama state police assaulted the marchers with clubs, horses and tear gas; Lewis again got beaten on the head. He was eventually voted out as director of SNCC, and Stokely Carmichael was voted in. In 1981 after working in community affairs for an Atlanta bank, Lewis began his political career by getting elected to the Atlanta City Council. Today he serves a Congressman from Atlanta. 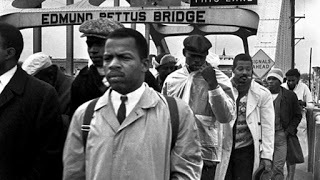 As we toured the various sites, John Lewis just kept showing up, sometimes as a leader, but always as somewhere there offering his skills and literally his body to the cause of justice. It seemed he was the “Forrest Gump” of the Civil Rights movement, everywhere you looked, sometimes in the forefront, but often in the background serving in whatever way he could. In interviews Lewis has always impressed me as someone who humbly deflects credit from himself and often praises others. While I have never met him personally, he comes across as a servant leader par excellence.